Cash for Grass Rebate Program - - Due to its popularity and limited funding, this program has been suspended until further notice. See www.saveourwaterrebates.com for the State's Turf Replacement Rebate Program. StormRewards Program - - This program provides Arroyo Grande residents with rebates up to $999 for installing Storm Rewards Best Management Practices (BMPs) on private property. Projects can be as simple as installing a rain garden, dry well, rain barrels, directing roof runoff to landscaped areas or planting trees. The City's Plumbing Retrofit Program includes installation or adjustment of showerheads, toilets, faucet aerators, and pressure regulators for single-family and multi-family residential units constructed prior to 1992. For more information about this program, please call 805-473-5460. Monthly seminars on sustainable landscaping practices were offered from June through November in 2009. DVDs of the seminars are also available at the County Library located at 800 West Branch Street in Arroyo Grande. 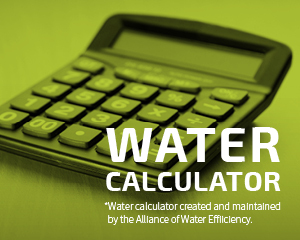 The State of California's Department of Water Resources (DWR) recently announced a new $30 million rebate program to help residents replace old toilets and make the switch to drought-tolerant landscaping. The program is financed by the Proposition 1 water bond approved by voters in 2014. The program will help carry out Governor Brown’s April 1 Executive Order on drought to further reduce water use in homes by replacing more than 10 million square-feet of lawn and upgrading more than 60,000 water-wasting toilets. These rebates are not distributed by the City of Arroyo Grande but rather directly through the DWR. More information and applications are available at www.SaveOurWaterRebates.com. Check out the Central Coast's new interactive Water Wise Landscaping website for everything you need to design a beautiful drought-tolerant landscape. Want to find out what more you can do to help your Arroyo Grande community?